Keenan was the representative that came to my house to quote me a price on 8 windows. He was very professional, friendly, informative and on time. He is the type of representative that is very nice to work with. He explained everything in detail and answered all my questions. He made it very easy to make a well informed decision. That is why I chose Window Works to install my windows. What a pleasure working with Keenan. If you are looking to purchase windows, definitely check out Window Works, what a refreshing experience. Thank you Al! We're happy to hear Keenan was able to communicate the value of our windows clearly for you! And as always, it's great to hear you love the windows. You're review is very important to us, thank you! From the first appt. to the last day of installation we had a great experience with this company. We had our 27 windows replaced about three years ago and our utility bills have gone down quite significantlly. I would highly recommend them, everyone that I spoke with all the way to the installers were highly professional and friendly. Thank you for the wonderful review! We love hearing that a project like a window installation can change the feel of your home; down to the utility bills! We appreciate the positive feedback and hope you continue to enjoy our windows in your home! The experience we had with window works was incredible! From the minute the salesman came in to the day of the install, and afterwards- everyone was on target and the process was executed without flaws. Our installer did a fantastic job- beautifully done and he cleaned up with no mess left around. He was very conscientious and did remarkable work. We had such old windows from the 60’s and with the replacement done, we wish we had done it years ago. The windows look beautiful and we are excited to save the money from our heating bill and bring up the valve if our house. We couldn’t be happier- thank you window works!! Hi Heather, we're happy to hear that you love your quality window installments and that you had a good experience with our team! Thanks for the great review! I have had the best experience with Window Works. I was a bit hesitant at first because I could not see the full product, just pieces in the demonstration. Now that we have had three HUGE sliding doors replaced, I am THRILLED with window works. They are absolutely beautiful. The installers were incredibly respectful of our home, quick, and clean. I cannot believe they had everything installed in just one day. In addition, I was very picky about the look of the door. I mentioned that I didn't love the color of some of the hardware even though it was standard. They sent someone out to change it anyway! There was absolutely no obligation for them to change something that was just a personal preference, but they did. That is exemplary customer service. I'd refer Window Works to anyone in a heartbeat. It's an amazing product for the price and they are just good people. We are always happy to have your business and very thrilled to hear how satisfied you have been with our services! Thank you for your wonderful review! Allie made the extra effort to make sure our original install date was accommodated. She was very professional and understanding. I was very happy with the excellent service she provided and I look forward to receiving my new windows. Highly recommend! Thank you so much for your kind words! Very happy to hear everything went well with your window estimate and we look forward to assisting you! The windows look wonderful. The crew was fast and efficient. They make my house look new. I’m very satisfied with my new windows. Very happy to hear you are happy with the windows you had installed in your home. Thank you for trusting us with your new windows! We had a very positive visit from Michael Moore. 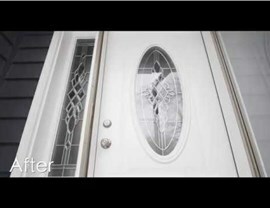 He explained the entire process very well for our need for a new front door and storm door. He did not try to upsell us into something we do not want or need. He was very knowledgeable and easy to work with. 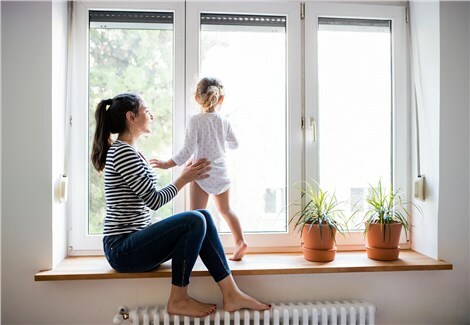 After getting quotes from two other big name companies and being disappointed with their prices and overall sales pressure pitch we knew that Window Works was the right choice. Happy to help! We are glad to hear that we were the right fit for you. Thank you for your feedback! We made an appointment with Window Works and spoke to Maya Cook. She was very friendly. Our salesman was Tom Warkentin. He was very knowledgeable, professional and he never put any pressure on our decision. He also explained other services Window Works offers that we will be using in the future. We were highly satisfied with Tom and we look forward to the installation of our new windows!